…is a Boston area service provider, making computer and networking technology accessible to small offices, home offices, and regular people. We specialize in web development, web design, web marketing, web hosting, search engine optimization, and anything else pertaining to the web. 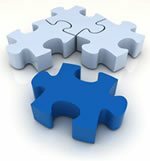 We still support some business and home clients with computer acquisition, installation, configuration, upgrades and troubleshooting for PCs, Macs, and small networks. If you are running a small or medium sized business, non-profit, research lab, medical practice, professional office, or work from home, and you don’t have the kind of web or computer support that larger corporations take for granted, give us a call and we can help you out! For more information or a price quote, call (617) 489-6169 or email info@PersonalCTO.net. References are available. Customer satisfaction guaranteed.